Need a quick treat? 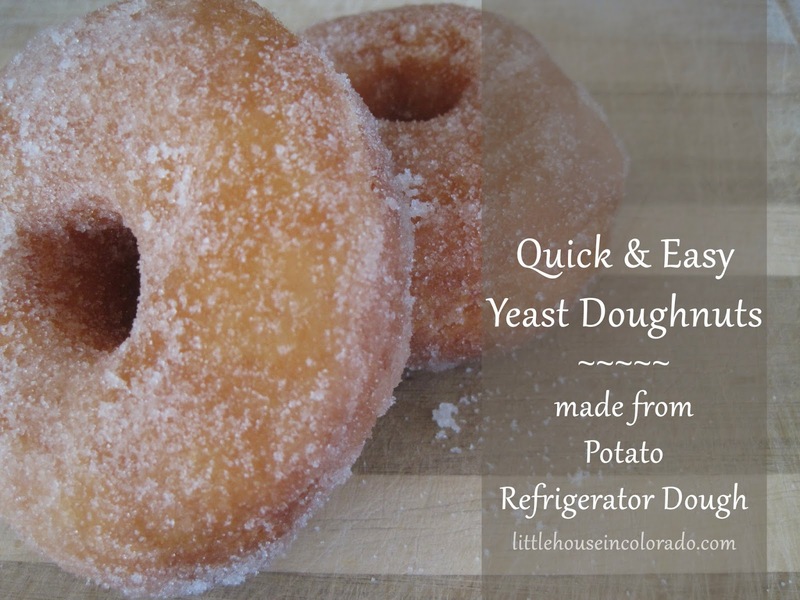 If you have a batch of Potato Refrigerator Dough in your fridge, you can make some raised yeast doughnuts quickly and easily! (yes, I used the words "yeast" and "easily" in the same sentence). And oh my heavens, they are good! You still need to let these doughnuts rise, but since the your dough is already prepared ahead of time and waiting for you in the refrigerator, the hands-on time is very limited. On a floured surface, roll out 1/3 batch of the Potato Refrigerator Dough until it is 1/2 inch thick. 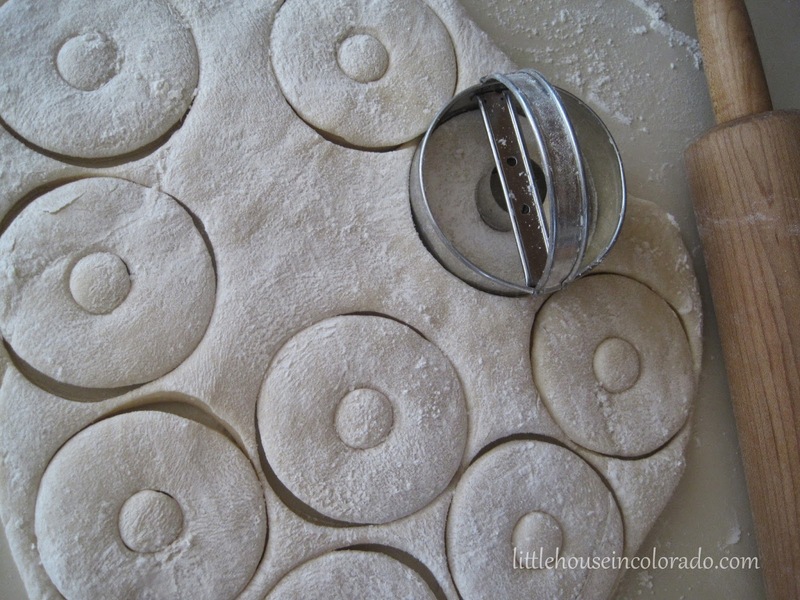 Cut with a doughnut cutter (or use a pizza cutter to cut into squares). 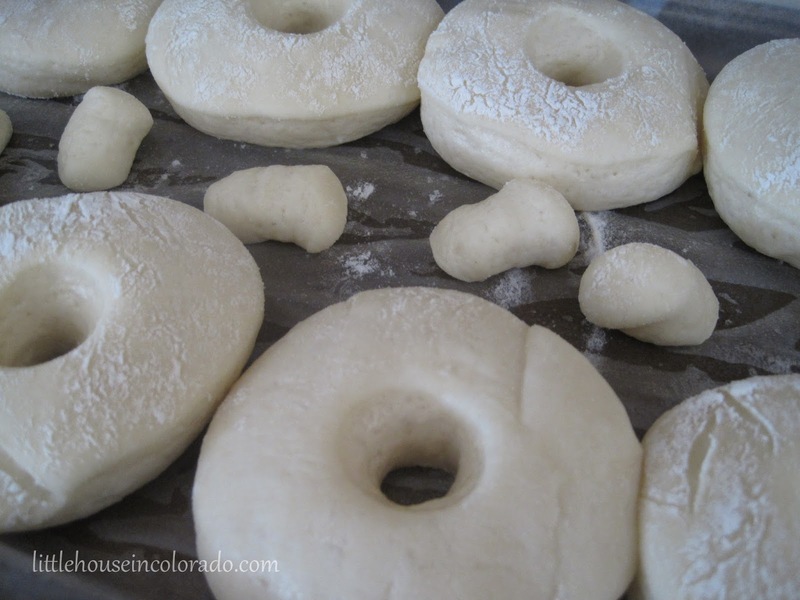 Place cut doughnuts onto a piece of lightly buttered parchment or wax paper. Loosely cover the dough with a cloth and set aside to rise until doubled in size, approximately 60 to 90 minutes. Those "holes" look so funny! 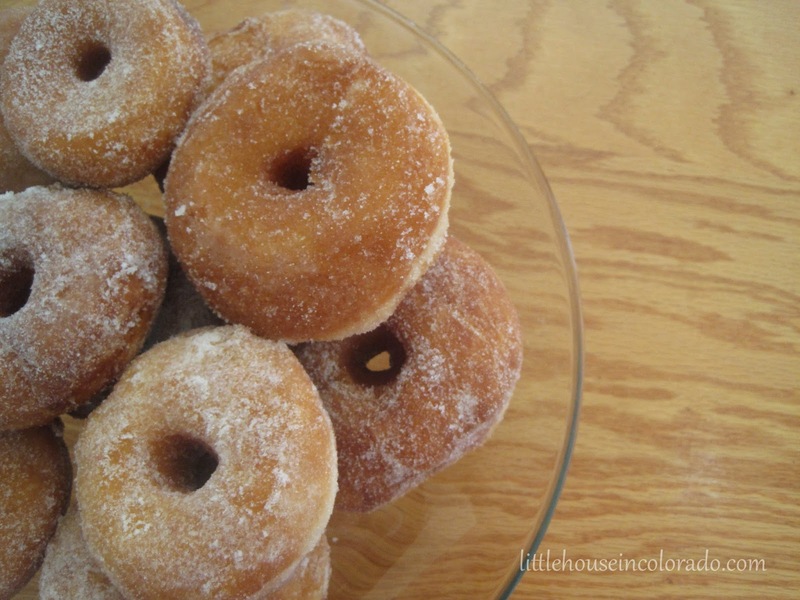 Fry doughnuts in small batches until golden brown on both sides (1 1/2 to 2 minutes per side). Drain, cool for several minutes and decorate. For simplicity's sake, I just coated these in granulated sugar but you can certainly opt for powdered sugar, chocolate icing, sprinkles, etc. NOTE: I was able to squeeze out a baker's dozen (and extra doughnut holes) using my 2 3/4" doughnut cutter. I found mine at a thrift store but you can get a similar doughnut cutter on Amazon. 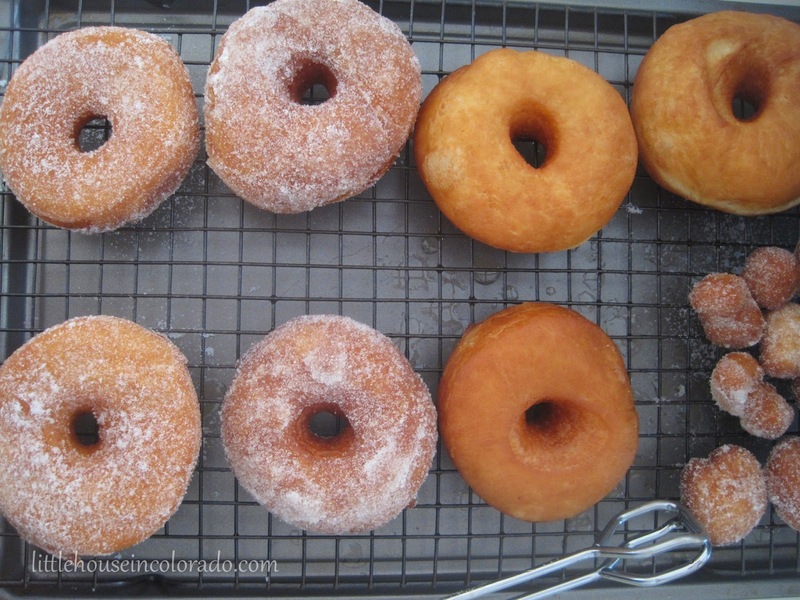 It was also easier to transfer the risen doughnuts to the fryer if I had the doughnuts on individual squares of wax paper. I could pick up the doughnut using the wax paper and peel it off just before frying. I'm also a sucker for filled doughnuts so I may just have to try making a batch of those using the Potato Refrigerator Dough.